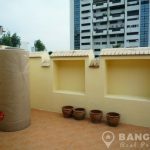 This newly renovated, spacious, 4 bedroom Sukhumvit townhouse is rent in Phrom Phong, ideally located off Sukhumvit 31. 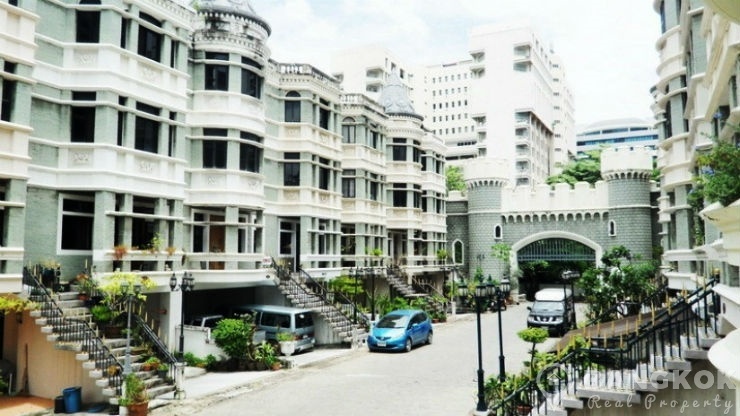 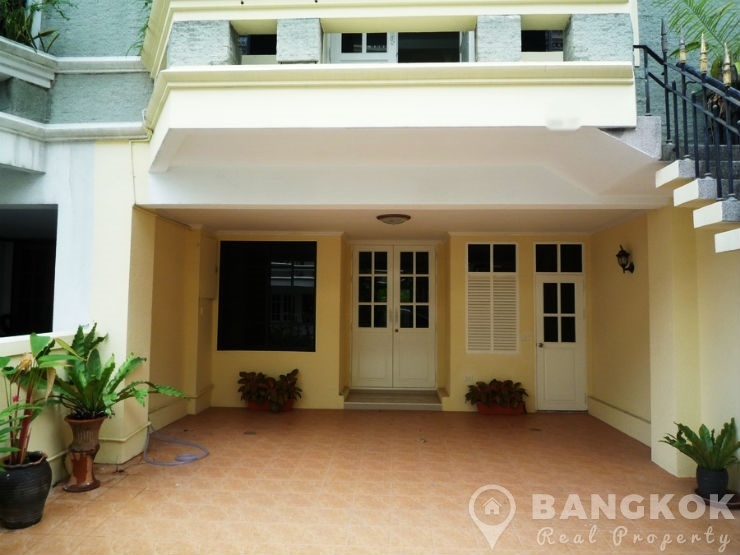 Situated in a secure compound, Sukhumvit townhouse offers residents access to the best of Sukhumvit and Asoke and is within easy reach of Phetchaburi MRT, Phrom Phong BTS and also EmQuartier, Terminal 21, Villa Market @ 33, Fuji UFM and several international schools including NIST. 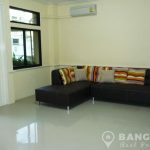 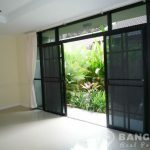 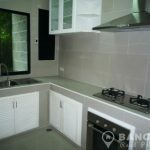 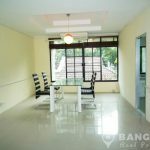 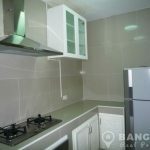 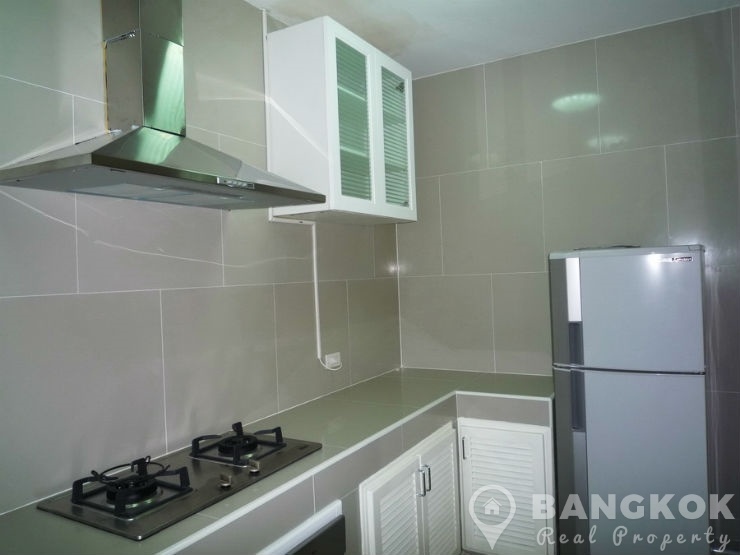 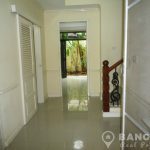 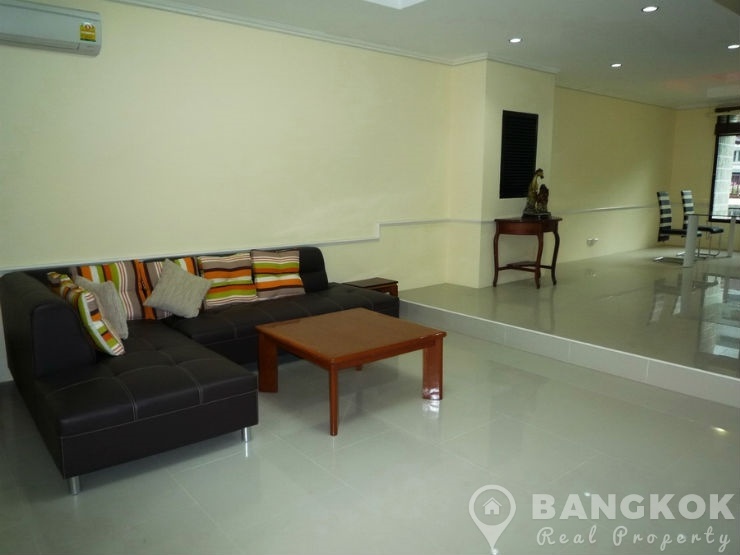 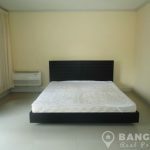 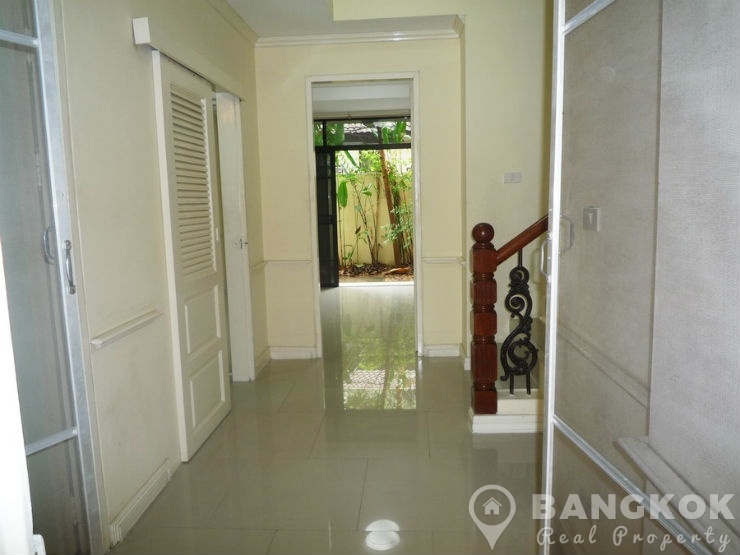 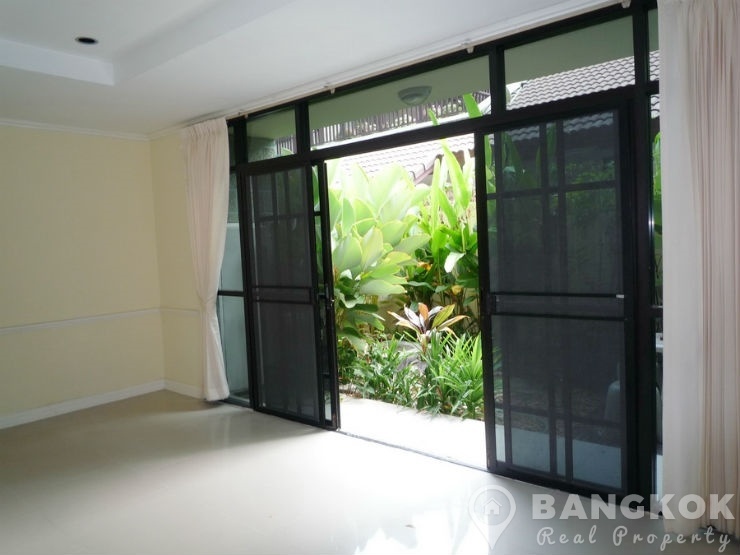 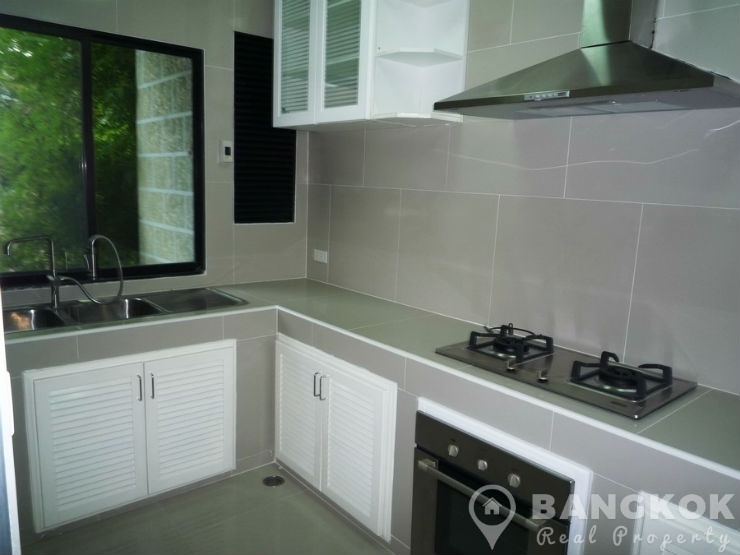 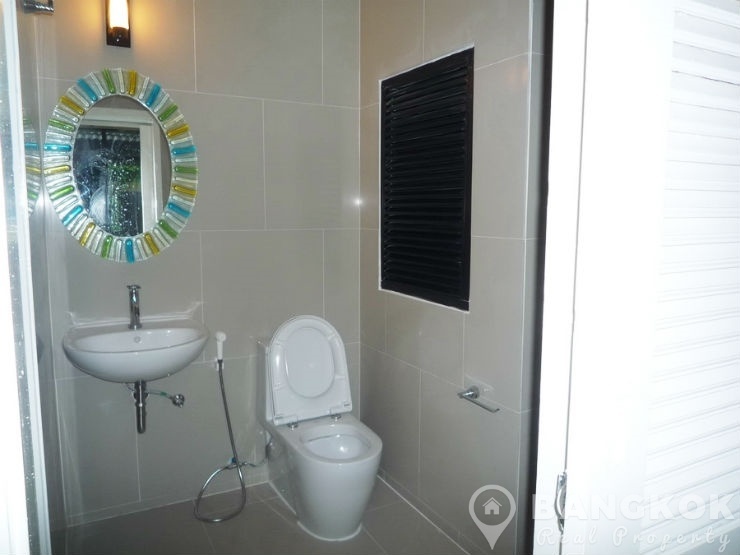 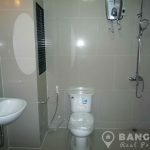 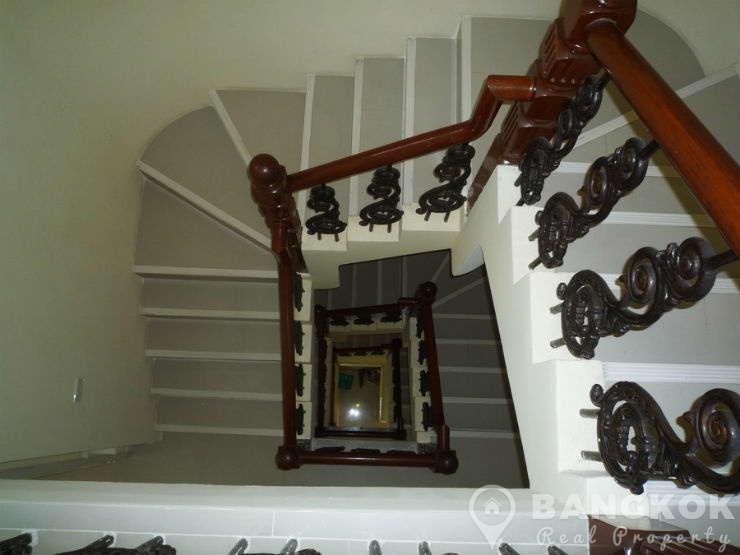 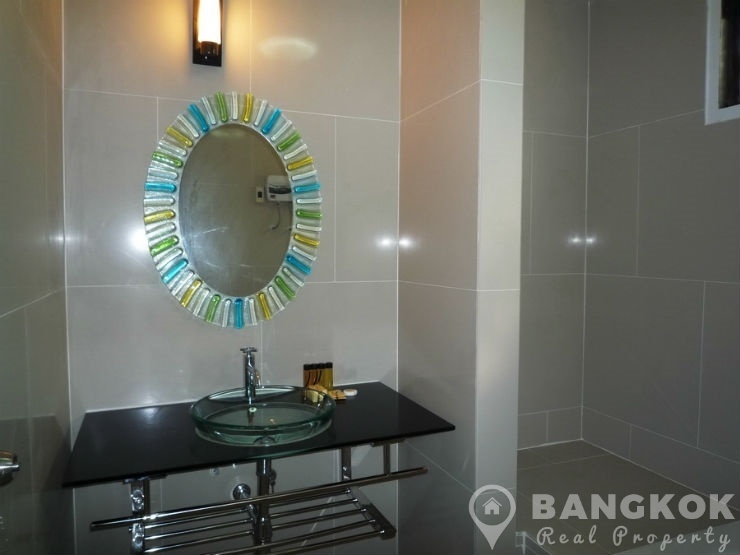 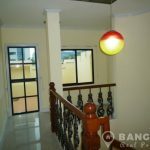 This Sukhumvit townhouse has just been totally refurbished and renovated with 4 floors of space, set on a plot of 32 sq.wah (128 sq.m) with 400 sq.m of internal living space. 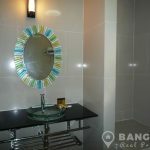 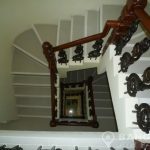 The Sukhumvit townhouse offers 3 double bedrooms (all ensuite), 4 bathrooms (master with bathtub). 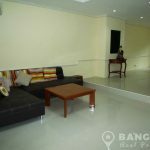 On entering is a livingroom with access to the patio garden and a separate European style kitchen with built in units, gas hob & extractor fan, electric oven, microwave, fridge-freezer and washing machine. 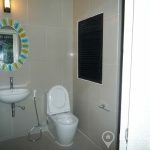 There is also a storage room and maids room. 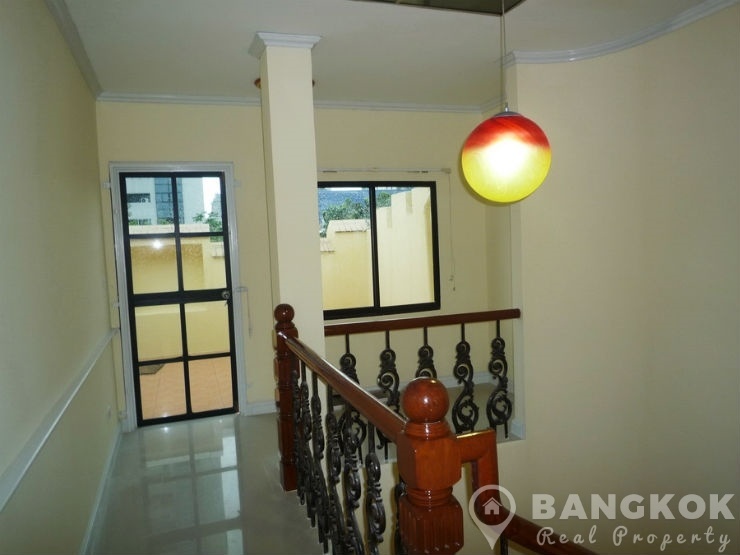 The the upper level is a large open plan living-dining room with balcony. 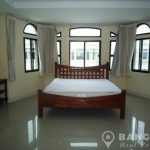 The 3 double bedrooms and 1 study room are located above. 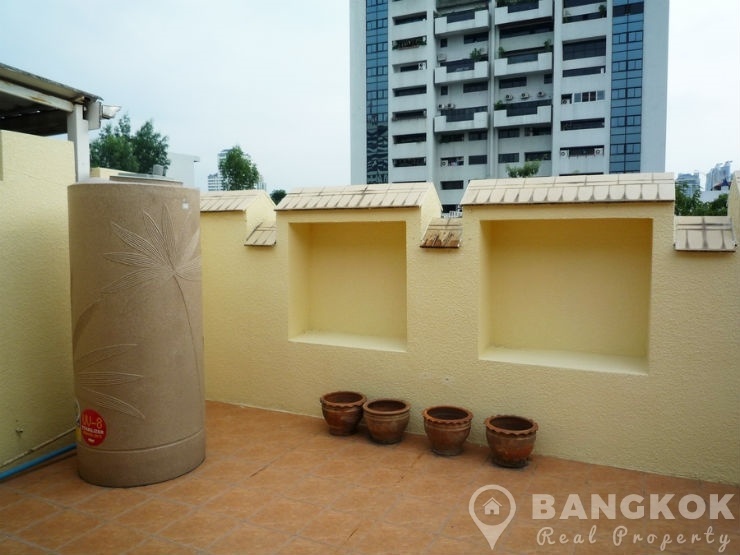 On the roof is a terrace garden ideal for BBQ. 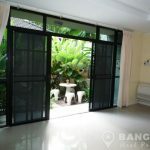 Outside is a patio garden and off street parking for 2 cars. 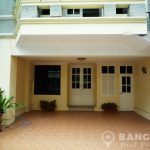 The townhouse is located in a secure compound with 24 security, landscaped grounds and a swimming pool with sunbathing deck. 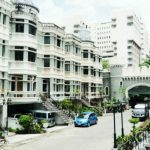 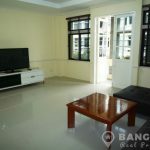 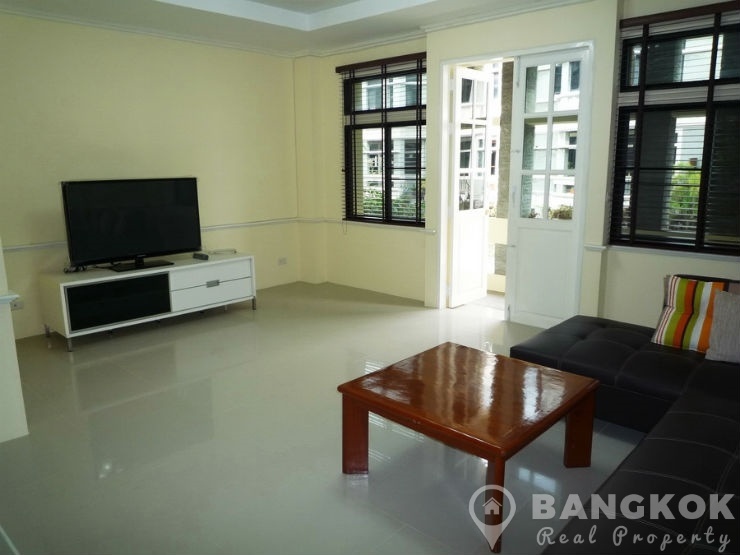 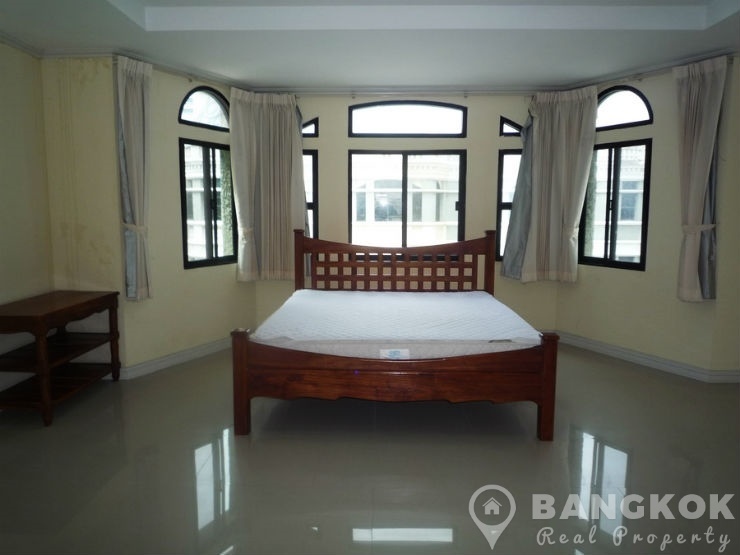 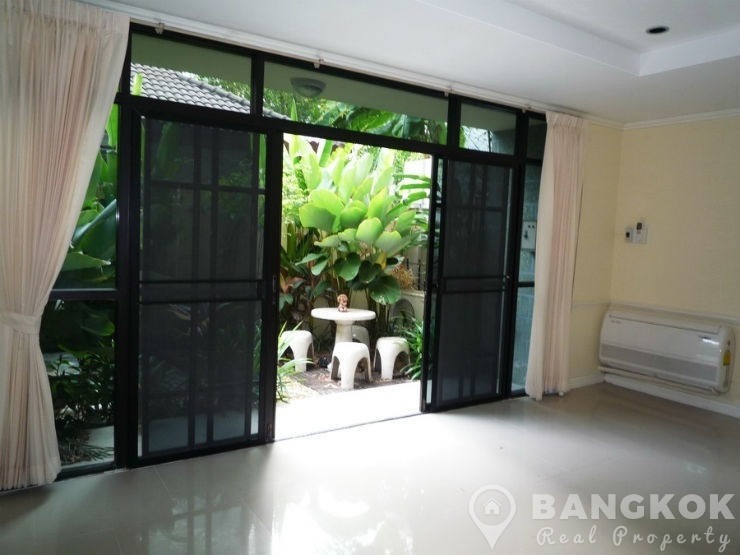 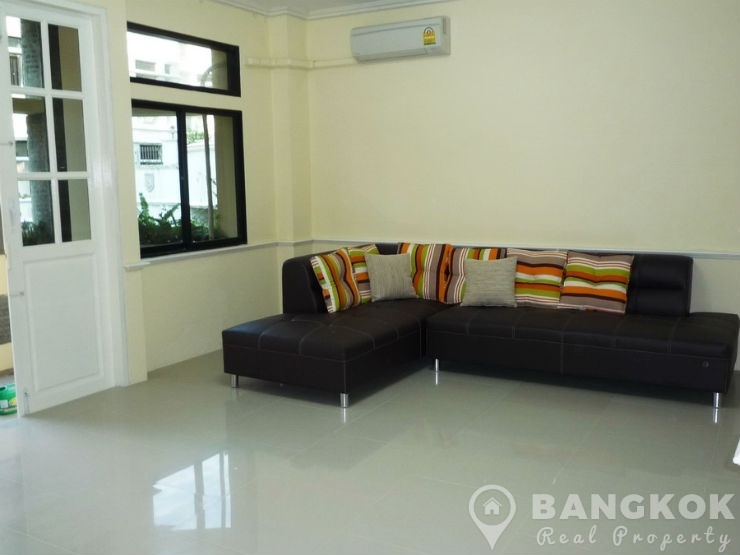 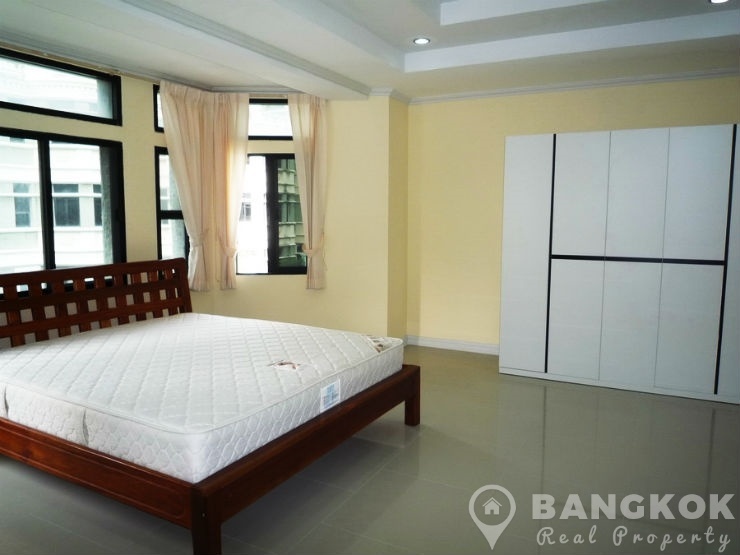 A newly renovated, 4 storey (4 floors) town house with a small garden, is located just off Sukhumvit 31 in a secure compound within easy reach of Phetchaburi MRT.